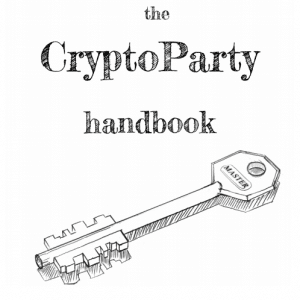 In October during a quick 3 day sprint combining material from two existing texts from FLOSS Manuals and adding a lot of new material the CryptoParty handbook was produced. Over 440 pages of information for those wanting to be safe online but just don’t know how to get started. The Book Sprint took place in Berlin and Sam Muirhead was also there to make a short documentation of the event (the Book Sprint video at the top of the page). The handbook has done great rounds and been downloaded and forked 45 times already. Most notably the Liberation Tech list hosted by Stanford has discussed the book a lot and forked it to github. 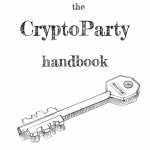 The CryptoParty Handbook was born from a suggestion by Marta Peirano and Adam Hyde after the first Berlin CryptoParty, held on the 29th of August, 2012. Julian Oliver and Danja Vasiliev, co-organisers of the Berlin CryptoParty (along with Marta) were very enthusiastic about the idea, seeing a need for a practical working book with a low entry-barrier to use in subsequent parties. Asher Wolf, originator of the CryptoParty movement, was then invited to join in and the project was born. Adam Hyde (facilitator), Marta Peirano, Julian Oliver, Danja Vasiliev, Asher Wolf, Jan Gerber, Malte Dik, Brian Newbold, Brendan Howell, AT, Carola Hesse, Chris Pinchen, .. with cover art (illustrations to come) by Emile Denichaud. The book is being used by CryptoParties (https://cryptoparty.org/) all over the world to train people in small informal workshops.